When the RSPB’s stewardship of the Glaslyn ospreys came to an end in 2013 a group of interested wildlife enthusiasts agreed to take over the reins and run the project at a local level. Consequently in 2013 Bywyd Gwyllt Glaslyn Wildlife (BGGW) was set up as a community interest company with the aim of continuing the work of protecting breeding ospreys in the Glaslyn Valley, whilst at the same time highlighting the wealth of other wildlife in the region. In a very short time a great deal has been achieved and the company continues to grow. 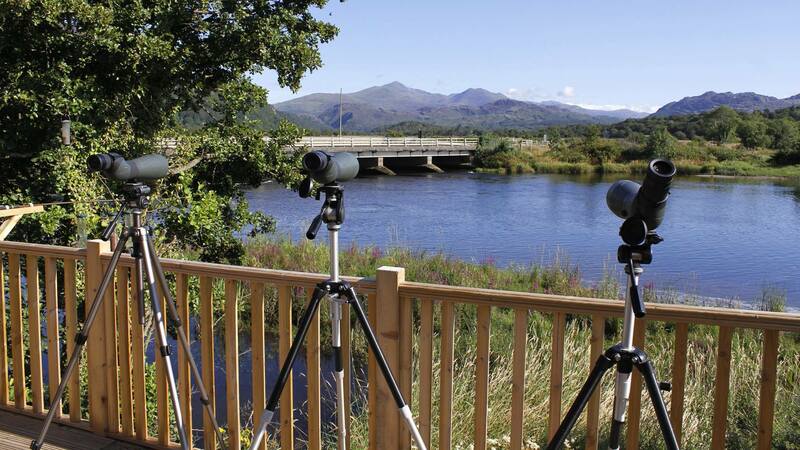 In 2014 work began on the construction of our new visitor centre at Pont Croesor. This was completed and the centre was opened by Iolo Williams on 31st July 2015. This centre enables us to engage effectively with local communities, businesses and schools whilst continuing to promote the messages of sustainability and environmental stewardship. At BGGW we endeavour to be as inclusive as possible and encourage active involvement from all those who express an interest in becoming a member of our team. We are especially interested in volunteers with experience and expertise in fundraising, media or communication as well as anyone that can help out at the protection site or the Visitors’ Centre. The success of this project and the Glaslyn Ospreys is entirely reliant upon the kind donations of our visitors and supporters. Our continued work costs approximately £1,000 a week and with the exception of one paid employee the entire team at BGGW give their time and expertise for free. Bywyd Gwyllt Glaslyn Wildlife is a bilingual company which recognises the rich Welsh Heritage of the Glaslyn Valley and its environs. No charge is made for visiting the centre but donations are vital if this conservation project is to survive. We, at Bywyd Gwyllt Glaslyn Wildlife, look forward to meeting you at our Visitors’ Centre very soon.